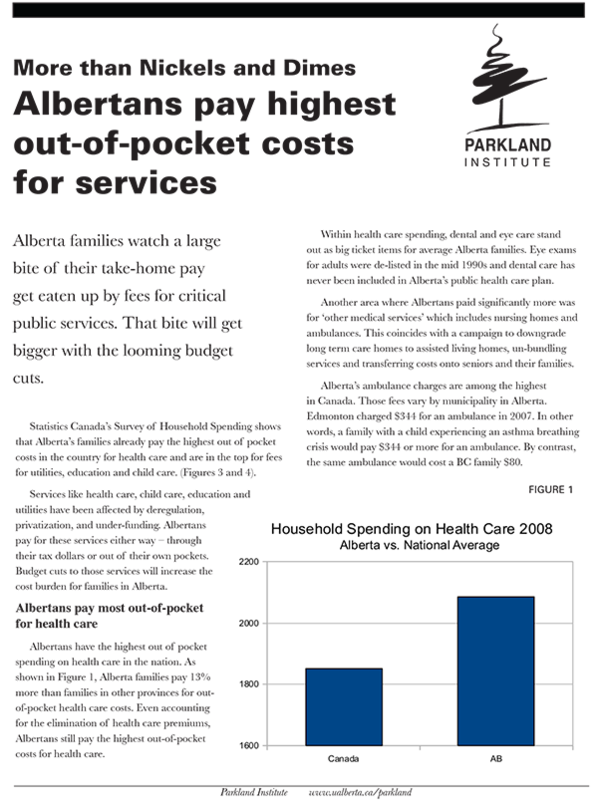 Statistics Canada’s Survey of Household Spending shows that Alberta’s families already pay the highest out of pocket costs in the country for health care and are in the top for fees for utilities, education and child care. Services like health care, child care, education and utilities have been affected by deregulation, privatization, and under-funding. Albertans pay for these services either way – through their tax dollars or out of their own pockets. Budget cuts to those services will increase the cost burden for families in Alberta.